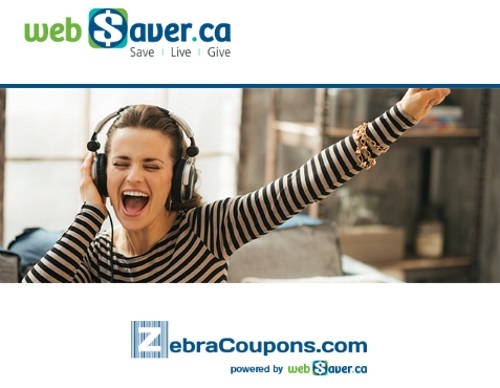 ZebraCoupons is a new coupon website brought to you by Websaver and Smartsource! After our huge demand yesterday, we are once again offering some promo codes exclusively for our readers! This promo code will get you Free shipping/convenience charges on your coupon envelope order! Normally there is a $2 charge for the shipping/handling of your coupons. Please note, you can always still print coupons yourself on Websaver if you would rather not pay the fee. Please note I have limited quantities from Websaver to share these promo codes with our readers. Plus follow the directions below to get a promo code. Quantities are limited and are first come, first served. 2. Write a comment on our Facebook Page post about this offer expressing that you would like a promo code. 3. Please write a comment on our Facebook Page and the Websaver Facebook Page about why you like Mail to Home Zebra Coupons. 4. Watch for my private message to get your promo code. Update February 25 - Please note all promo codes have been claimed for now. Stay tuned on our Facebook Page to see if we have any more giveaways. How can I receive a code if I am not on facebook. Can someone send it to me?